Almost half of the children, 46 out of 103, who were five years old or younger and separated from adults at the US border couldn’t be reunited with them because many of the adults were violent criminals, and some of the adults weren’t even the children’s parents. Eleven of the adults have serious criminal histories, some of which include charges for child cruelty, kidnapping, murder, human smuggling, domestic violence and narcotics-related crime. A federal judge in San Diego has ordered the government to reunite all 103 children under five who were separated from the adults they came with at the border. On Thursday, the Trump administration announced that almost half of the children who were five years old or younger and separated from adults at the U.S. border couldn’t be reunited with them because many of the adults were violent criminals, and some of the adults weren’t even the children’s parents. According to the Department of Justice and the Department of Homeland Security, 46 of the 103 children are “ineligible” to be reunited with the adults. The departments added that 11 of the adults have serious criminal histories, some of which include charges for child cruelty, kidnaping, murder, human smuggling, domestic violence and narcotics-related crime. One man is wanted for murder in Guatemala, according to Chris Meekins, Chief of Staff, Office of the Assistant Secretary for Preparedness and Response at the Department of Health and Human Services; seven others were “determined not to be a parent” at all, three of whom were found out through DNA testing. 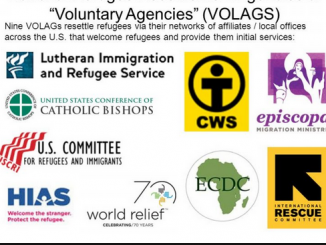 In the US, there are nine Volags (voluntary agencies) funded by more than $1 billion each year by the State Department to resettle refugees in the US. Under the Trump administration, the flow of immigrants has been reduced to a trickle – an average of 1,727 people per month, which is the lowest number in 15 years. As expected, the Volags are not pleased. 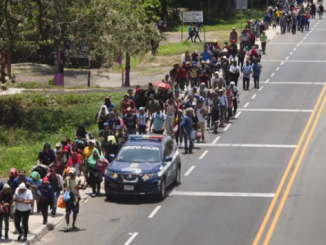 A group of 350 migrants from Central America broke the locks on a gate at the Guatemala-Mexico border, and forced their way into Mexico to join a large caravan of 2,000 people who are headed to the US. 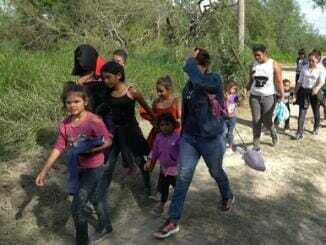 There are currently an estimated 1.1 million El Salvadoran migrants living in the US, which represents 19% of the country’s population, which was reported to have 5.7 million individuals in 2007. 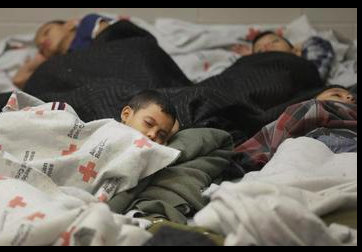 The migrants are part of the ‘Temporary Protected Status’ program that was established after an earthquake in 2001. The Trump administration told 200,000 Salvadorans to pack their bags and return home. You can clearly see the elite/globalist (agenda) supercedes any seated one. Mr. T is probably fine with the invasion anyway. All the presidents welcomed in millions of illegals year after year. Too bad bleeding hearts go in for the spin.. Eventually, it will cost their own kids education, jobs, and their freedoms….